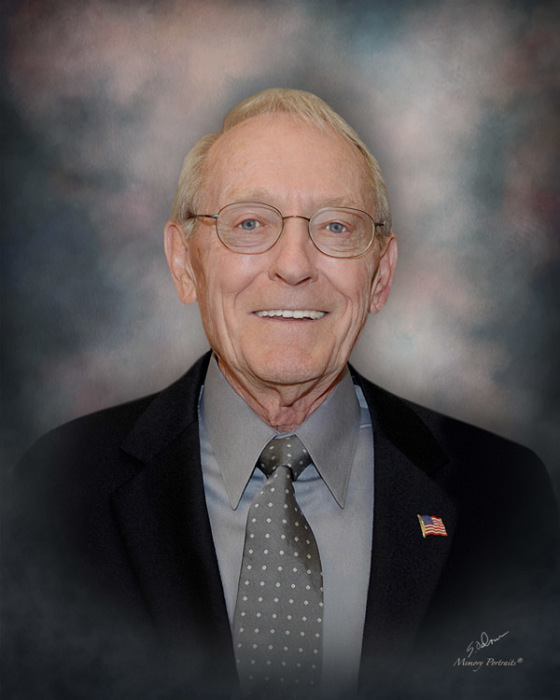 Robert F. Buchanan, age 91, of Evansville, IN, passed away at 12:28 p.m. on Tuesday, March 26, 2019, at Primrose Retirement Community. Robert was born August 2, 1927, in Lima, OH, to Virgil D. and Bertha (Mowery) Buchanan. He graduated from Jefferson High School in 1945 in Delphos, OH and attended the University of Louisville and Indiana University. Robert was a Veteran in the United States Navy and was a member of Crossroads Christian Church. He was retired from Ford Motor Company after working as an engineer at the Kentucky Truck Plant in Louisville, KY. Robert enjoyed woodworking, golf, watercolor painting, and Ohio State football. He is survived by his daughters, Judy Mahaffey (John) of Charlotte, NC and Linda Polin (John) of Evansville, IN; grandchildren, Jennifer Clutter (Ryan), Jack Mahaffey (Laurie), Michael Polin (Carrie), and Beth Finley (Kenny); and 7 great grandchildren. He is preceded in death by his wife of 66 years, Anna (Looser) Buchanan, who passed away Christmas Eve, 2016; his parents; and brother, Donald Buchanan. The family would like to say a special thank you to Heart to Heart Hospice, Primrose Retirement Community, and Dr. Stephen Koewler for their loving care and concern. Private Family Services will be held Friday, March 29, 2019 at Boone Funeral Home East Chapel – A Family Tradition Funeral Home, 5330 Washington Avenue with Pastor Jack Arney officiating. Burial will be Private at Park Lawn Mausoleum. Memorial Contributions may be made to: Disabled Veterans National Foundation at 4601 Forbes Boulevard, Suite #130, Lanham, MD 20706 or Heart to Heart Hospice at 415 East 6th Street, Jasper, IN 47546.